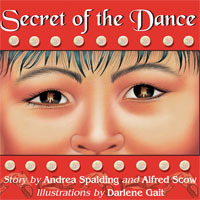 "If a perfect author/illustrator team exists, then Andrea Spalding and Janet Wilson must be its embodiment." "Spalding and Wilson have created a memorable cultural gift to pass on to the younger generation." "Highly Recommended." "Janet Wilson's work is stunning and multi-dimensional." 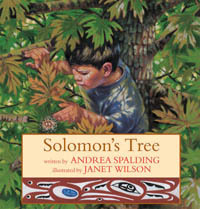 "Solomon's Tree will no doubt soon be on the short list for major awards. 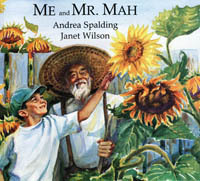 It is a beautiful picture book and a pleasure to read aloud." "A rich celebration of the power and beauty of nature and family relationships, this picture book is a likely contender for national and international awards." "Visually vibrant and generous." "A strong, sensitive, beautifully interpreted title."